This year has been a year of finding ourselves and finding what works for this stage in our homeschooling life. After Christmas, A and I switched back to Build Your Library. We used Build Your Library last year and we found it fit both of our personalities really well. We loved Level 8- History of Science, but after the turmoil of the end of last school year and the move across country this summer, I think we were all feeling just in need of a change. Moving was really hard on all of us and I switched back to trying Oak Meadow at the beginning of the year for the high school levels. I wanted to love it, it reminds me of my own education growing up, and I do love the concept of Oak Meadow, but textbook learning just does not work for us. So on to Build Your Library level 9! 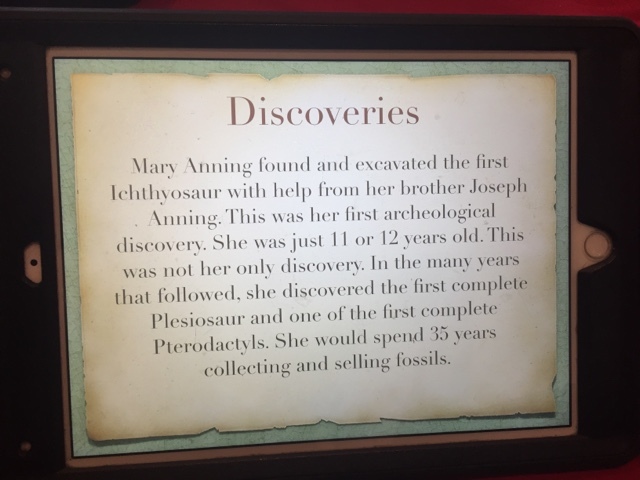 This year's focus is on Prehistory, Geology, and Evolution. We are on week 8, and it has been a game changer. A is happier, I am happier, and this Charlotte Mason inspired curriculum fits us. We will be staying with Build Your Library. No more trying to change what works for us, we are an eclectic CM inspired family and I need to embrace that. If your wondering what exactly that means and what it looks like in our home, stay tuned. I'm currently working on a blog post about that very subject. For now, here's a little peek into what A did this past week with Build Your Library. She's been working her way through How to Read Literature Like a Professor and completing the study guides provided by Build Your Library. This is a wonderful book that we go through together and discuss different literary devices authors use. 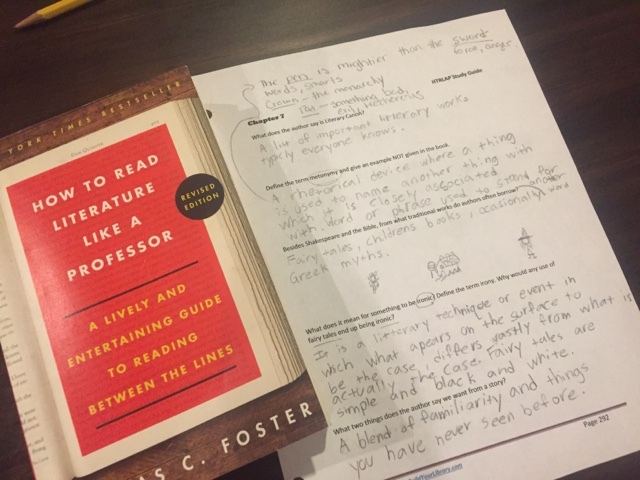 The study guides really help her to focus on what she is learning and apply those concepts to literature that she has read. A big part of a CM education for older children is that of written narrations. 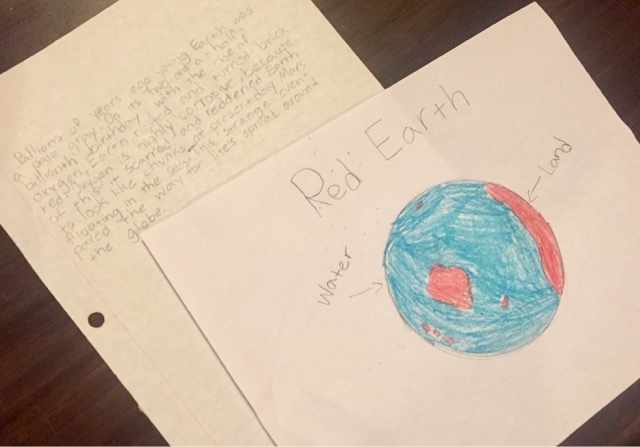 Using "living" history and science books instead of boring and dry textbooks, A has been exploring the scientific theories of Earth's beginning. 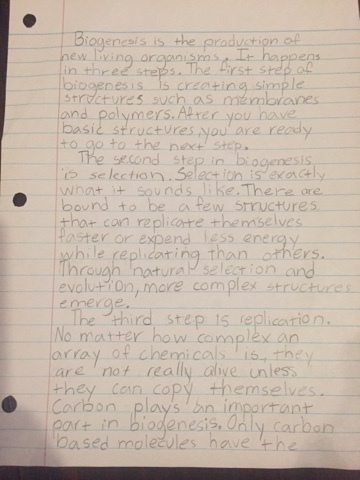 She does both short, one paragraph narrations, drawings, and longer essays to demonstrate what she is learning. This is just a sampling of the wonderful living books we are using this year. No dry textbooks and charts here. 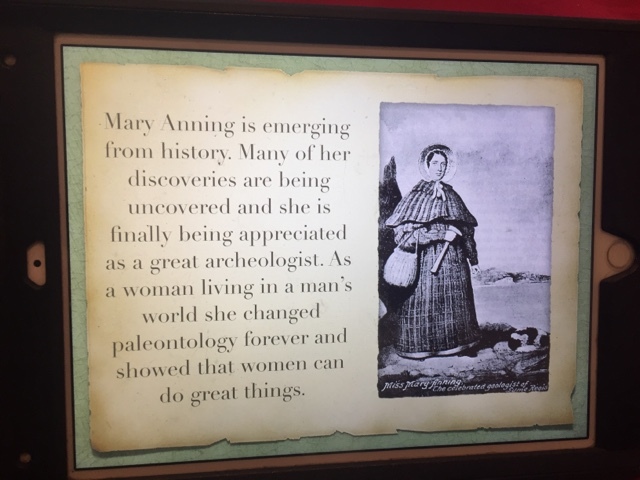 Making her own connections allows her to grow both emotionally and academically; to connect with what she is learning in her own way that it becomes a part of her. Her written narrations also give us a chance to go over her writing together, discussing grammatical and syntax errors, word choices, and flow. 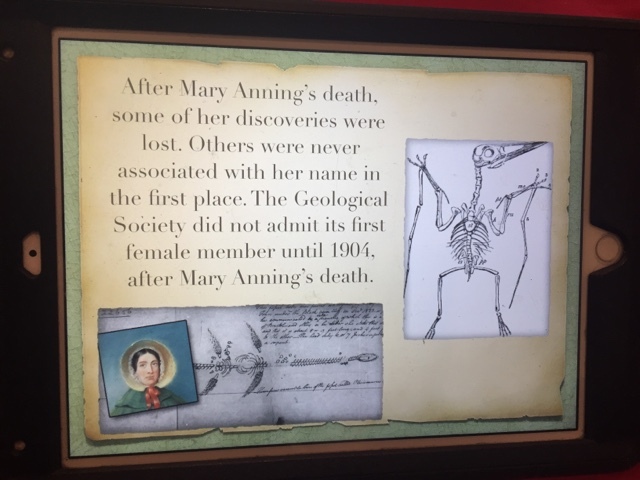 Charlotte Mason is often considered to be a very "old fashion" homeschooling method, especially by those with just a cursory knowledge of it. It's not by any means! Yes it promotes a liberal arts education, giving children the ability to make their own connections using quality literature instead of being spoon fed what others think they should know. However, we incorporate technology into our homeschool daily. 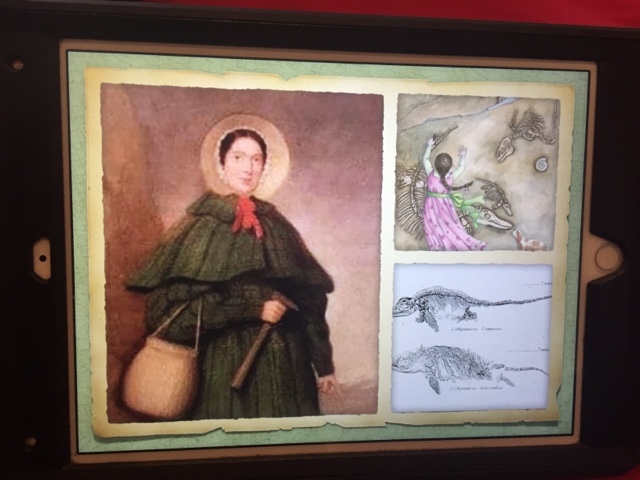 This week I asked A to choose a fossil hunter that she had read about in her weekly readings and research that person further. 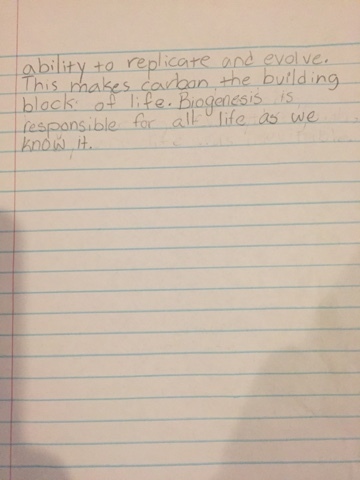 I asked her to create a report. 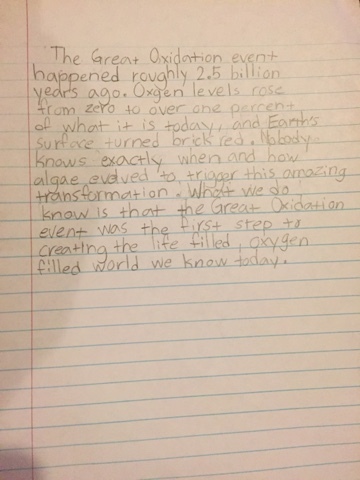 It could be written, oral, visual, a power point, or an I-pad presentation. 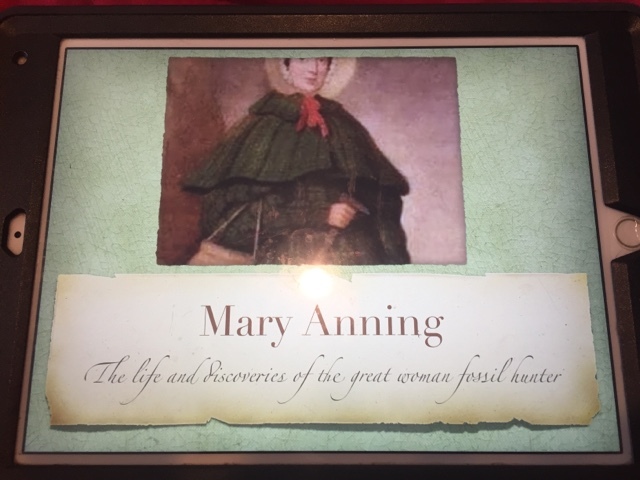 She chose to create a slide show on her I-pad focusing on Mary Anning. 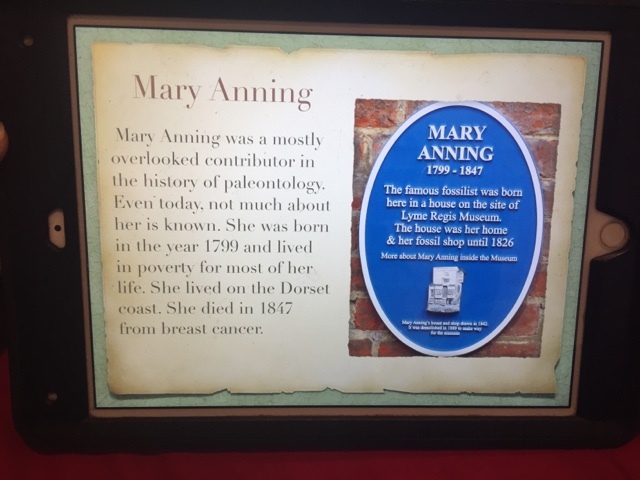 I knew nothing about this fascinating woman, but love the learning I get to do along with my child. Build Your Library does not include a math curriculum. For that we are still using Teaching Textbooks, and this week A was working on advanced quadratic equations. 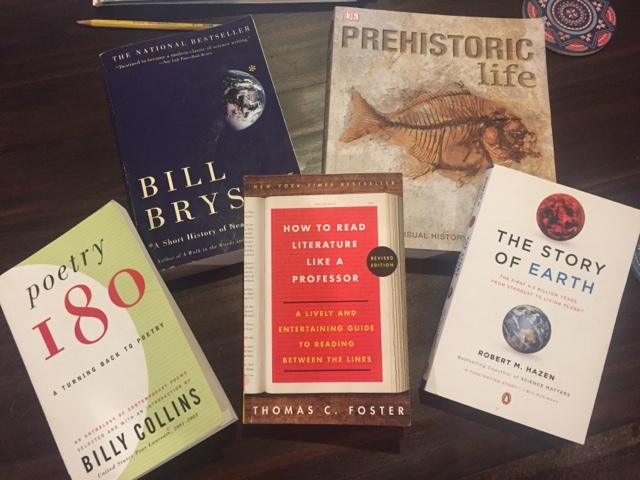 Science this year with our curriculum is Geology- and A took a geology course last year online, so we are skipping some of the readings and activities that are redundant. A's big science focus for herself this year is Neuroscience. She is taking a Neurobiology class from the University of Chicago through Coursera and reading multiple books by neurosurgeons as well as essays on current research on the brain. She focuses on Neuroscience about 3 days a week, with her own outside reading pretty much daily. Math lessons occur daily moving at her own pace. She is also moving right along on her online middle school Spanish course. In Literature, A is currently reading through the Lord of the Ring Trilogy and focusing on poetry daily using the book Poetry 180. It's a busy but fun year for all of us!